So when I picked up the D-Zero, I thought the one thing – size! It is an amp and a DAC and a powerful one at that in a very small package indeed. The footprint of the D-Zero is possibly one of the smallest I have seen, smaller than the Go Vibe Petite by some margin and a great advert for iBasso to show off some very fine engineering skills indeed. Sure they have history with the T Series and they are very sweet miniature amps but this has a lot more going for it. It is about half the size of the FiiO E7, it’s closest competitor and just as sturdy yet far more powerful and perhaps an even stronger solo performer when out and about as an amp. 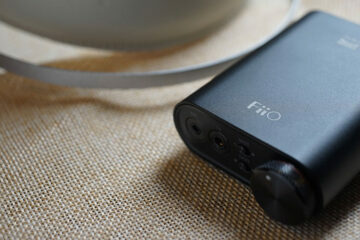 The closest competitor size wise is the FiiO E11 and even it has not got a nice little DAC tucked into it. Second to this iBasso have suddenly developed a sense of marketing identity with a very tidy package indeed. Those who shopped heavy at iBasso of yesteryear will remember the plain white boxes the amps came in and whilst they were very functional and packaged very well they did look more akin to hospital grade carrier boxes. Ibasso this time round have gone for the full brand and image in a neat little box to go with the launch of the D Zero and this can only be a step in the right direction for me and packaging lovers around the world. – Rechargeable Li-polymer battery with integrated charging system, 30 hours play time. – Slim and small, it is ultra-portable design. Gone are the white non-descript amp boxes and in comes branding and identity. Smart move when the likes of FiiO are expanding rapidly with some great little amps that come in trendy little tin boxes such as the E11. Inside you get the usual assortment of accessories and components iBasso are well known for such as an IC, usb cable and those nifty little leather bags of which I admit I love collecting. The build itself is pretty solid being made out of anodized aluminum and has a minimalistic type feel with the now familiar iBasso branding stating name and type of unit on the top. To the back you have the USB input for charging and receiving the digital input and a gain switch and to the front you have the headphone jack, aux in/out jack, the power switch and volume dial (analog). Although only 11mm tall nothing feels squished and the jacks look pretty sturdy and unlikely to decompress through wear and tear. The USB is controlled with a charge switch to allow you to choose between straight DAC operation and a charging option. The LED lights indicate which is which during operation with red denoting charge (until it blinks when done) and orange denoting the USB is connected. The front volume dial is smooth to move, no stepped or digital volume control here. It’s accuracy though is slightly undermined by the fact it only has + or – symbols at each end and not a number counter denoting how high the volume actually is. The number counter would have been useful for judging optimum sound settings rather than guessing by experimentation. Unlike the FiiO range of amps and dacs the D-Zero does not sport any eq tweaking or bass boosts but does instead of have a high/low gain switch at the back which is more consistent with the iBasso sq philosophy on their bigger amps. No OPAMP tweaking on this unit though not sure you would expect that considering this is being launched as an entry level amp/dac. If you want rolling go up to the PB2/DB2 level of the iBasso range but be prepared to empty your wallet in the process. The battery time of the D Zero does seem to be slightly less than the claimed time by FiiO for the E7 and one can only assume that the more powerful amp the D Zero is packing has something to do with that. Given that the D-Zero sports the very popular and highly regarded Wolfson WM8740 DAC Chip and TI PCM2706 USB Receiver I was expecting good things and I was not disappointed. However it was as the amp section that initially took my attention rather than the DAC when comparing it with the FiiO E7. The D zero definitely has a lot more power on tap than the E7 amp and the tonality was much more neutral and resolving with a much greater degree of articulation compared to the E7. Using Sa DingDing’s Harmony album in Flac both via the DAC and headphone out for both the E7 and D-Zero I found the D Zero to be more attention grabbing than the laid back tones of the E7. You could argue of course that a D Zero might be more of a treble heads dream but the sound does remind me somewhat of the stock iBasso sound from the bigger amps just on a slightly more trimmed down scale. The D Zero amp came across as the cleaner and more detailed amp with above average attack and decay in the uppers and a clean punchy bass that was tight and very well focused. It is true though if you prefer warm laid back tones you may prefer the E7 which in terms of highs can be a little smoother and therefore less fatiguing but if you match the D Zero carefully with a warm headphone or source such as the Hifiman HM602 and the ATH-ESW9 then the balance is fantastic. 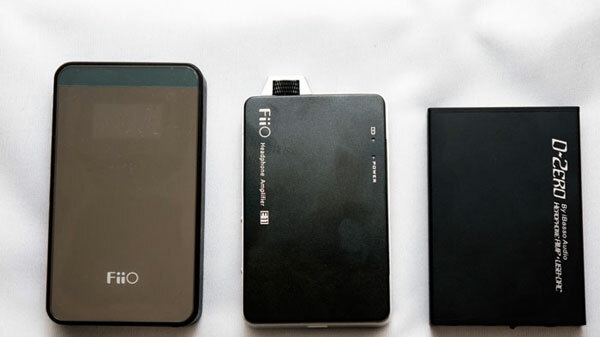 I then threw in the FiiO E11 to see how it compared to a dedicated amp at almost half the price of the D Zero and one of the current forum darlings. True enough the raw power of the D Zero amp could not match the amazing power the E11 has on tap but the tonal signature is night and day particularly with the bass boost and eq options of the E11. The E11 came across far darker and thicker in tonal quality compared to the D Zero and had a lot more bass emphasis. Some have mentioned that the E11 tends to get a bit messy once you move up the bass boost options and those that feel that way might want to look at the D Zero which retains its core articulate and neutral SQ whether on low or high gain. Next to the E11 the D Zero sound far less congested and a lot more refined. Plugging the D Zero into the PC using the DAC and headphone out the D Zero SQ thickened out with a bigger sound stage than simply using it as a stand alone amp with a DAP. The same core SQ was there and it still has a very neutral and resolving sound signature but now just with a bit more impact. I was quite impressed with it and compared to the uDAC it is a worthy competitor for what it does. For those on the look out for an entry level amp and dac combo you should give the D Zero a serious look if price, tonality and size are your key criteria. It is a worthy alternative to the FiiO E7 and a night and day contrast to the FiiO E11, two of the more heavy weight contenders at this price bracket. The D Zero is the clear winner though in terms of size and functionality for that size though lacking in the raw power of the amp of the E11 and all the eq tweaks favored by FiiO fans. The tonal quality is very clean and neutral with fantastic articulation in the uppers and plenty of tight bass punch. Matching as always will play a role with maximizing the D Zero so for me this is not going to work well with bright headphones such as the Shure 940 and might even grate a touch with the HD25-1 II unless you have the HD650 cable mod. Better matches might be warmer headphones or those with flat responses such as the DT1350, or the ATH-ESW9. As for mobile usage my preference was with the Hifiman HM602 as opposed to an Ipod but I must say the D Zero amp section sounded unbelievably good using a Cypher Labs AlgoRhythm Solo and an Ipod – a superb match even if the economics of pairing such a combination do not quite stack up. For $109 this is a worthy entry into the entry level mobile audio market and perfect for those looking for a sleek all in one amp and dac mobile solution with a tiny footprint to pair with their DAP’s. FiiO D3 DAC – It’s a Keeper!! Thanks for the review, guys. How about Sony MDR-MA900 – will this be a fine pair for them? I have not actually tested the D-Zero with the MA900 to be honest with you. 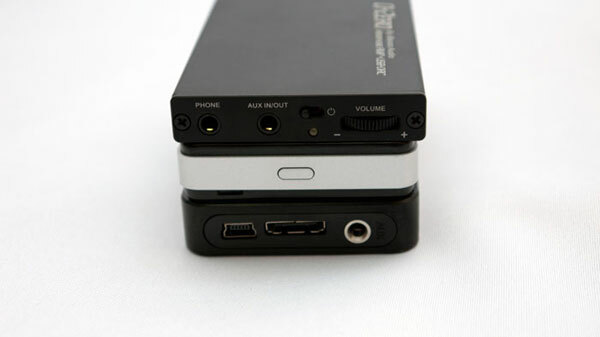 If you are using the D-Zero in a portable setup (iPhone 4S, D-Zero, B&W P5s), would you require a separate DAC? I noticed it says DAC/amp, although it also says USB DAC as well. I figured to use the D-Zero’s DAC it would only be available for computer use; to bypass the sound card on your computer. Do you require a separate DAC and amp for a portable setup? 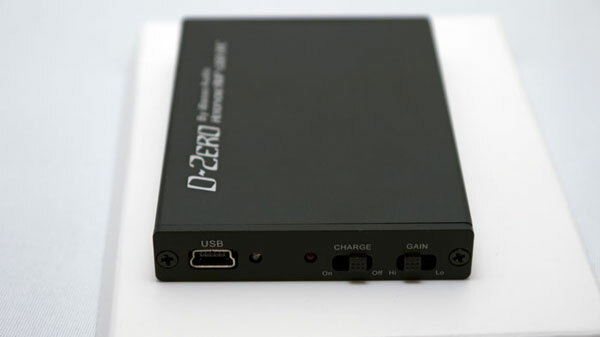 The D Zero is both a DAC and amp so no need for separate amp as it will bypass your PC through usb :) the only DAC’s that bypass iphones are the expensive ones such as Fostex and Cypher Labs SOLO. That’s what I figured, although I appreciate you confirming that! Would using an iPod 5G (Wolfson WM8758) sound any better with the iBasso Audio D-Zero and a decent pair of cans? I was considering the VentureCraft Go-Dap, although I have not found a decent review yet. Of course external amplification with decent cans is always going to improve the sound – the question is whether you like the tonality of one amp over another. I am afraid I have never tested the VentureCraft Go-Dap to be able to comment on it. 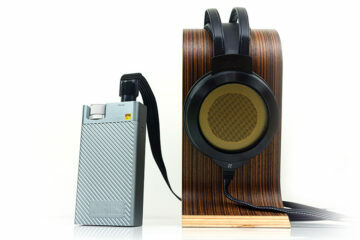 In your opinion is the Cypher Labs AlgoRhythm Solo worth the price when paired with an iPod, D-Zero and nice cans? 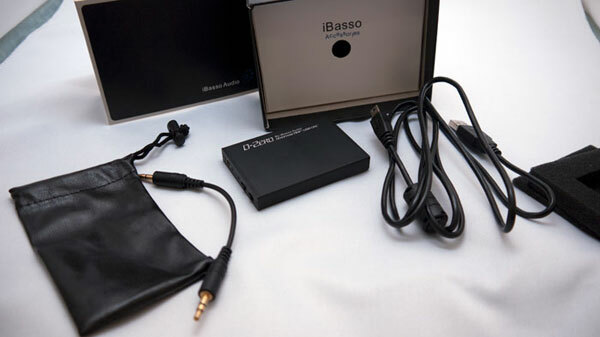 I purchased the D-Zero and iPod Libr-out through Ibasso’s site and I hope it will pair nicely with my iPhone 4s and Bowers & Wilkins P5s. Me also Don! :) just going to open it tomorrow and plug it in. If you mean should you get the HD25-1 II’s for rock then if this is your budget it is a good all rounder and excellent for portability. If your asking me for matching to a D Zero I say yes if you change the stock steel cable to the HD650 cable or use cardas cable. My fear is that stock steel on the HD25 is a bit harsh at the top end for me and the D Zero will do nothing to hide that or mask it. Switch to copper cable and the d zero should be, in theory, a good match. Good luck! another quesion. i need a desktop amp for my sennheiser hd 589, any suggestions? I personally enjoyed the Little Dot Mk2 tube amp when using with the HD595. I understand that you mentioned this isn’t quite suitable with bright components. But will it be okay for AD900 and RE-Zero? Like, what are the negative effects I’m going to face?